Home Patient and Public Involvement toolkit Patient and Public Involvement and Engagement For researchers Why is Patient and Public Involvement important? More Why is Patient and Public Involvement important? Patient and Public Involvement is central to National Institute for Health Research (NIHR) activity and a key priority for the Biomedical Research Centre. The majority of funding streams require researchers to show how they plan to involve patients and the public in their research. The National Research Ethics application form also asks for this information. Where users have not been involved, researchers must show clear justification for not including them. More importantly, the input of lay people provides researchers with real insight into what patients and the public think of their work and can save a great deal of time and effort by pointing out something that may not have been considered by the clinicians and scientists involved. 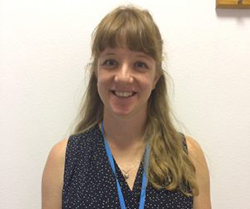 “I have worked with the Respiratory Research Advisory Group for two years and they have been invaluable in helping me with my Masters and more recently my application for an NIHR PhD application. My project is looking at “Actionable processes of care for persistent critical illness: Patients and family centred performance measures”. I am of course hugely invested in this project, but as the NIHR application process is so lengthy, it has been greatly affirming for me to have the PPI group to continue to reassure me that the work is worthwhile and that I am on the right track. I have worked with the group right from the beginning, in helping me to firm up the idea for the research, giving me ideas on how best to carry it out and advice on rephrasing clunky terminology. They have also had input on the lay summary and all patient facing literature. My original idea was to carry out video interviews with patients. However, the Advisory Group members felt that patients may not want to do this and would prefer an audio interview. They encouraged me to be really clear (both in my own mind and when seeking participants) on what it is I want to communicate. As one gentleman put it to me; “do you want to produce a Channel 4 documentary or a BBC 2 documentary?”. This helped me enormously and introduced me to “experience based co-design”. I also had a lot of great feedback from one of the patients I spoke to about designing the survey. She told me that she is completely fed up of carrying out questionnaires and that she sometimes didn’t bother to fill them in properly as they seemed pointless. She advised me to keep any surveys short and well-structured and to make sure that there was space for comments rather than just a series of tick boxes. 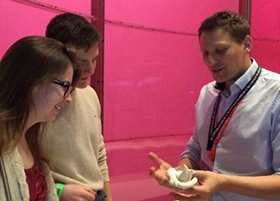 Researcher case study: Dr Benjamin Sieniewicz, Clinical Research Fellow, Kings College London. I have worked with the Medtech and In vitro diagnostics Co-operativePPI Group and the Cardiovascular Research Advisory Group several times and they have completely changed the way that I approach patient and public involvement in my research. I recently asked for help with a project working on a pacemaker to treat heart failure patients. I was initially looking for feedback on the Patient Information Sheet which I was designing to explain the new technology to potential trial participants. However, as the device is so new and unique, it was difficult to explain how it worked and why it was so different in a user friendly way. To overcome this issue, the PPI group suggested that we give patients a tablet computer to enable them to watch a short video explaining the device. We still need to explain the potential risks and benefits of the trial verbally, to allow the patient to make an informed choice, but the video provides an excellent introduction. As a result of this feedback, I now show all potential patients the video when asking for their consent and I’ve had an extremely positive response. I am being asked fewer questions and when speaking to patients it is clear they take in a lot more about how the device functions than those who had not seen the video. The manufacturer of the pacemaker was also extremely receptive to this feedback and they are working on loading patient materials onto a tablet for future use. The PPI groups have helped me to better understand the impact that taking part in a trial could have from the patient’s perspective. As a result of their advice we have been able to streamline the data gathering process ensuring it is even easier for patients to become involved in research. In this way, patients can benefit from novel, state of the art technology which might not otherwise be possible in standard clinical practice. My team and I hope to continue working with both groups and a colleague has even recruited a member to be a “Patient Advocate” on another study. You can read some of our patient stories here.